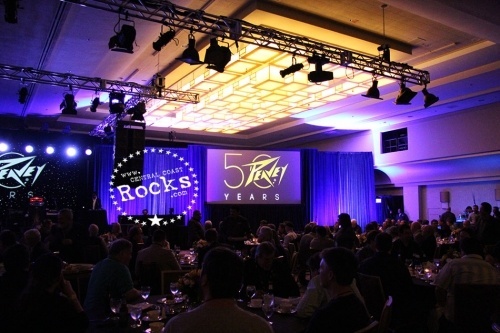 Peavey Electronics® celebrated 50 years of innovation at the 2015 Winter NAMM show with a gold anniversary bash on Thu., Jan. 22, 2015 from 6 – 9 p.m. at the Anaheim Hilton California Ballroom. Performers included Lynyrd Skynyrd members Gary Rossington, Rickey Medlocke, and Peter Keys, with guest artists Michael Anthony, Robert Randolph and Kenny Aronoff. 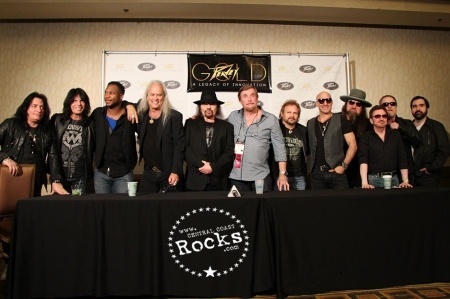 In addition, rock giants Blue Öyster Cult topped off the event with a very special performance. DJ Keith Shocklee of Public Enemy was the musical host for the evening. 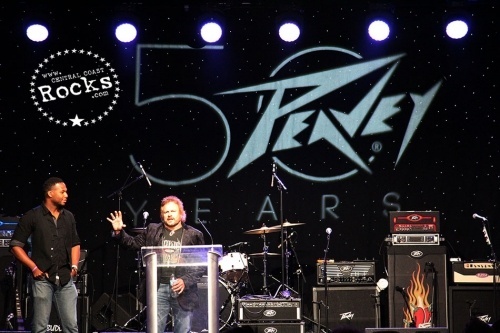 NAMM honored Peavey Electronics Corporation® with the Milestone Award for 50 years of service in the music products industry. The award recognizes retailers and manufacturers who have succeeded over the years through best practices and strong community standing to reach a landmark anniversary. “Our philosophy has always been simple – we didn’t start out to be the biggest, we wanted to be the best”, said Hartley Peavey of Peavey Electronics Corporation in Meridian, Miss. 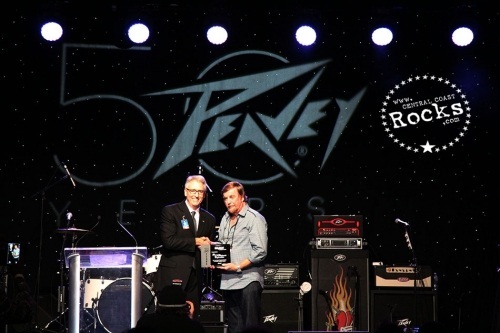 Hartley was given the award by NAMM CEO and President Joe Lamond during Peavey’s 50th Anniversary celebration at the Hilton Anaheim on Jan. 22. In 1965, Peavey worked out of the loft above his parents’ music store, building one amplifier per week. Hartley Peavey’s handmade amps struck a chord with musicians, especially at a time when larger manufacturers saw prices go up and quality go down as the result of conglomeration. 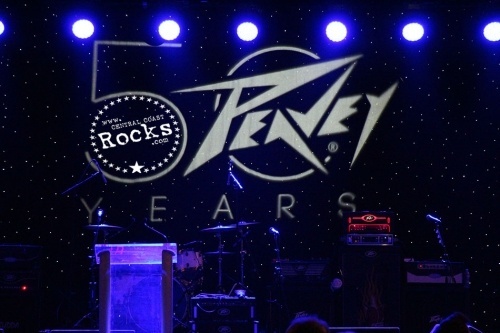 By the early 1970s, Peavey was one of the country’s largest manufacturers of amps, P.A. systems and sound mixers. Milestone Awards are presented to longtime industry leaders during the 2015 NAMM Show in Anaheim, Calif. The NAMM Show is the world’s largest gathering for the music instrument and product industry. The annual event brings together 95,000 industry professionals to preview the latest gear, attend educational sessions and network with peers from 100 different countries. 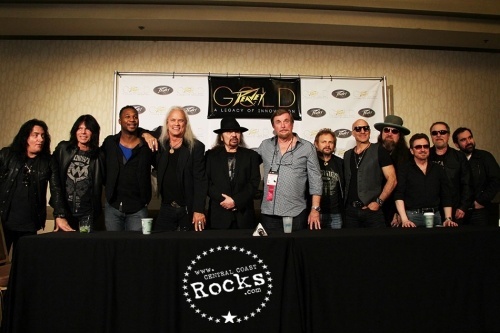 Peavey Founder and CEO, Hartley Peavey; guitarist Robert Randolph of Robert Randolph & the Family Band; Peter Keys, Rickey Medlocke, and Gary Rossington of Lynyrd Skynyrd; all-star drummer Kenny Aronoff (Sting, John Mellencamp, Elton John, etc. ); Buck Dharma, Eric Bloom, and Richie Castellano of Blue Öyster Cult; and former Van Halen bassist Michael Anthony attended a Press Conference to answer questions from the media in an open forum setting. 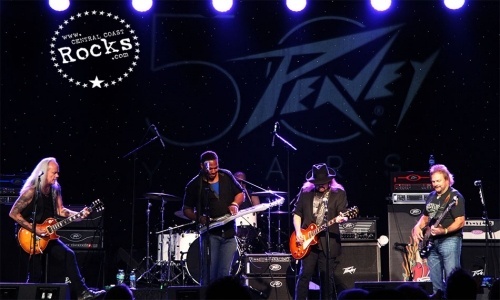 Celebrating 50 years in business in 2015, music and audio innovator Peavey Electronics is proud to unveil an array of groundbreaking new products at this year's Winter NAMM Show!